Amid the US threats and to leave Iran nuclear deal and calls from some European nations to amend the agreement, the Iranian foreign minister said on Thursday in an online video that Tehran will not 'renegotiate or add onto' the accords. 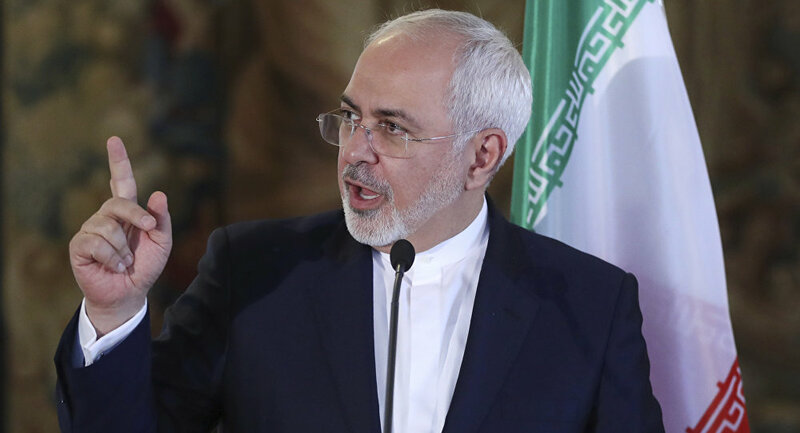 Speaking in a YouTube address, Zarif said that Iran stands firm against US Bullying over the nuclear deal, stressing that Washington has consistently violated the provisions of the agreement, particularly by 'bullying' other nations who’ve signed the accords. He went on to say Washington should finally start honoring its obligations under the deal. The comment comes amid brewing tensions over the deal in the wake of Israeli Prime Minister Benjamin Netanyahu's presentation in which he said Israel has about 100,000 files proving that Iran had been developing nuclear weapons program under the codename "Amad Project" and thus violated the terms of the Joint Comprehensive Plan of Action (JCPOA). The JCPOA that was signed in 2015 by Iran and the P5+1 group (Russia, the United States, China, France and the United Kingdom — plus Germany and the European Union) stipulated the gradual lifting of anti-Iranian sanctions in exchange for Tehran curbing its nuclear program and allowing inspections to ensure that the nature of the program is peaceful. Following Israel's revelation, the US President, who is an opponent of the deal, reiterated he would not rule out a US withdrawal from the agreement, while other states, including France and the United Kingdom, has called for the preservation of the accords. Russian Foreign Minister Sergei Lavrov said on Wednesday that the world will lose an important non-proliferation document if Washington leaves the agreement. Trump has repeatedly criticized the Iran nuclear agreement that was negotiated by former President Barack Obama and has called to amend it. In January, Trump asked Congress to address the flaws in the agreement and announced that he would waive sanctions on Iran, as required under the JCPOA, for the last time. The United States is expected to announce its decision on the nuclear agreement before the May 12 deadline.